Within the game's coding is a string under the name "PFLOYD" that maintains the integrity of the game's save files. This string appears in the English and Japanese ROMS under the offset 6F7A and needs to be present at AA00, AA40, and AA80 in RAM (along with two checksums) in order for save files to remain functional; if the string is not present in one of these RAM files, the corresponding save file will be wiped, even if the two checksums are cleared. The name of the string, "PFLOYD", appears to be a reference to the British progressive rock band Pink Floyd, who was active from 1965 to 1996, disbanding just a year after Donkey Kong Land's release. 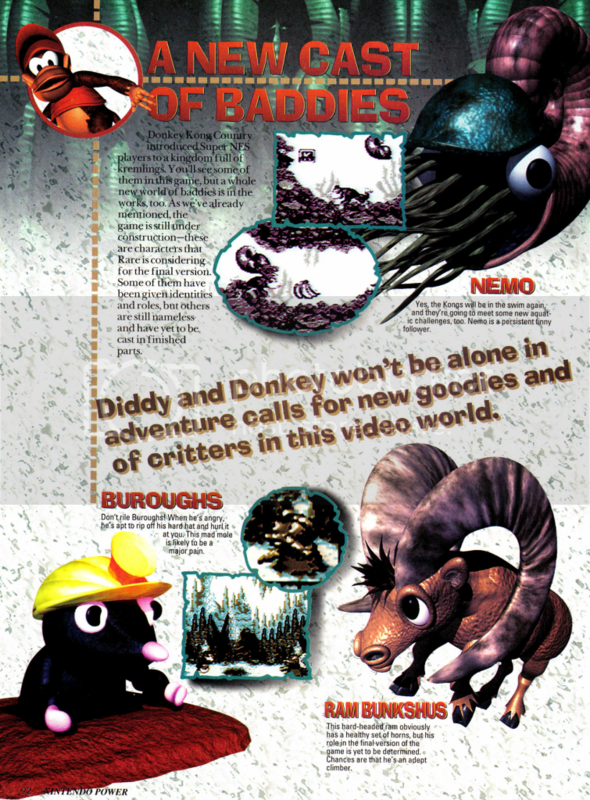 There was originally going to be a new Animal Buddy called "Ram Bunkshus" to appear in this game. Little is known about what he could do and why he never made it into the game. According to the manual, the whole game was made because Donkey Kong and Diddy Kong had a bet with Cranky Kong that they could have fun even without "fancy graphics" and "modern music" like in Donkey Kong Country.